Fire. The word is both powerful and scary, and many of us spend lots of time worrying about the danger of a house fire. Fortunately, we can relax into sleep each night with the knowledge that our local fire department stands ready to protect us in case of a catastrophe. Let’s take a moment to salute the firefighters in our community during International Firefighters’ Day on May 4, 2018. The idea for International Firefighters’ Day began after a bushfire in Australia took the lives of five firefighters. A volunteer firefighter started a chain of emails suggesting a special day to honor firefighters, and the correspondence soon spread throughout the world. 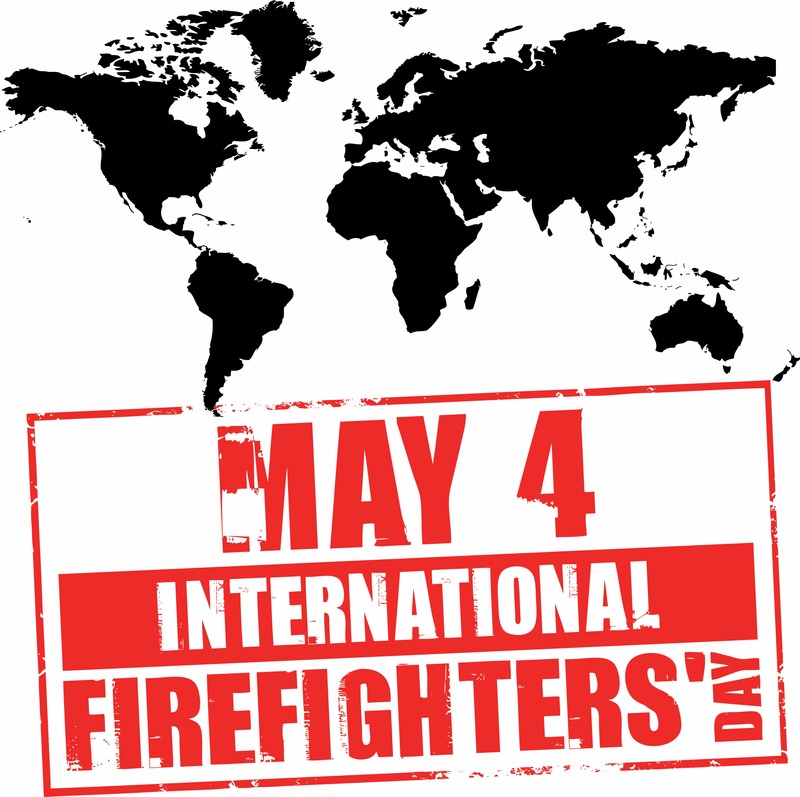 The first International Firefighters’ Day occurred on May 4, 1999. 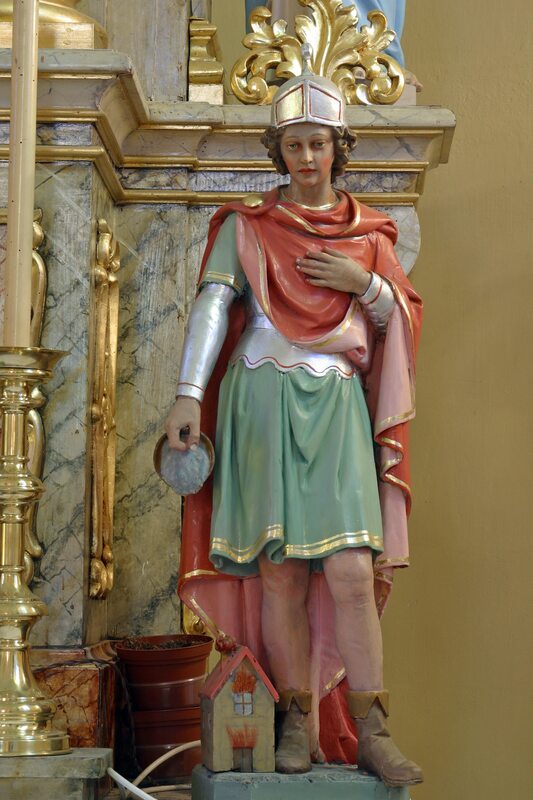 The fourth day of May was chosen because it is the feast day for St. Florian, the patron saint of all firefighters. Since its beginning in 1999, International Firefighters’ Day has grown in recognition throughout the world, and many communities participate in special events by wearing the signature red and blue ribbons signifying the emergency service. Forget dropping off a plate of homemade goodies at the fire station. As much as the firefighters enjoy eating delicious treats, many fire districts won’t allow the firefighters to eat food that comes from an unknown source. So, if yummy food is off the table, what can you do to make the firefighters in your neighborhood feel special this May 4th? Although the firefighters in your area will appreciate the kindness shown to them on International Firefighters’ Day, there are significant steps you can take to make their job easier throughout the year. Let’s take a look at some of the primary ways to salute firefighters for their service. In the scary event that a fire breaks out in your kitchen, turn off any heat sources immediately and cover the pan with a lid if applicable. Don’t hesitate to phone 911 even if the fire appears to be out, as it’s possible for it to reappear hours after the initial event. Clothes dryers do an excellent job in drying fabrics. Unfortunately, they are also responsible for many house fires. Fortunately, you can minimize the chance of a dryer related fire by cleaning out the lint filter each time that you run the dryer. Make it a habit to clean out the screen either before or after you operate the dryer. 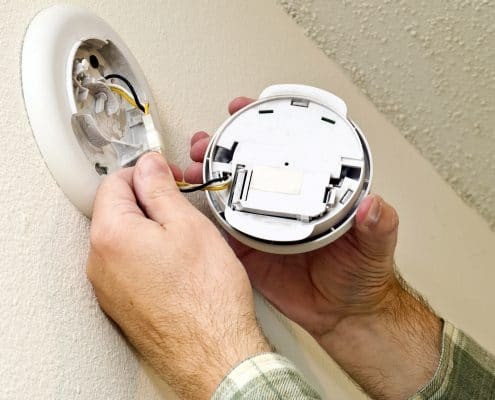 Examine the smoke and carbon monoxide detectors in your home regularly. These two safety devices will, perhaps more than any other safety feature, keep your family safe by giving you the valuable time to escape from fire and deadly carbon monoxide. 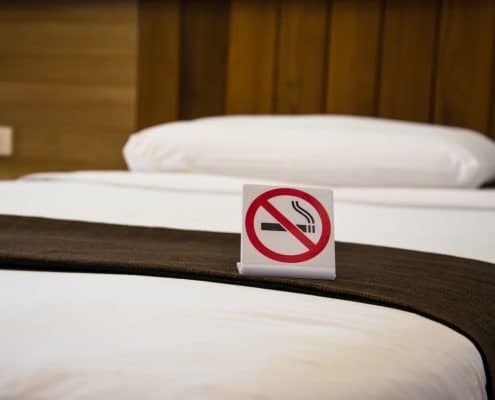 Imagine that it’s the middle of the night when you’re woken up by the screaming sound of the smoke detectors shrieking out their warning alarm. What would you do? Prepare for this unexpected terror by putting together an escape plan for you and your family. Practice evacuating from your home and meeting in a safe spot in front of the house. Firefighters want to save your pets in an emergency. You can help them by placing a pet alert decal identifying your pets on the front window. Also, keep an emergency packet with leashes and pet supplies outside the home to use if your pets must leave. Step outside and view your house from the street. 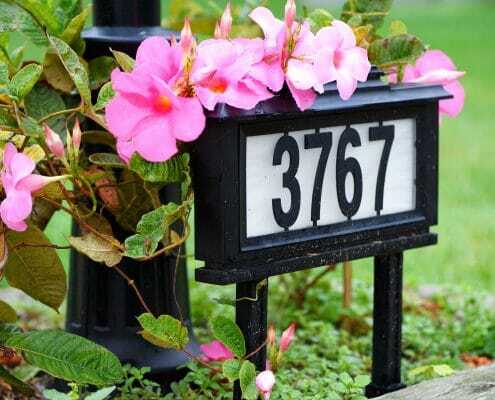 Is your street address visible? The firefighters can’t reach you in an emergency if they can’t find your home. Make sure that your address stands out on your house. We like to believe that we’ll hold young children in our arms during an emergency. However, the sad reality is that children must know how to respond to a fire emergency. Make sure that children understand how to exit the house in a fire and have them practice responding to a firefighter who might be calling for them. Train them to stop, drop, and roll if their clothes catch fire. 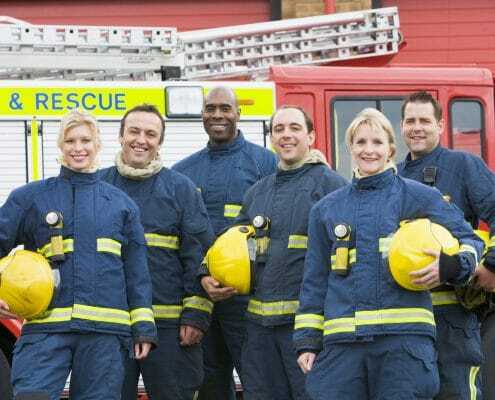 Lastly, Homes for Heroes salutes the firefighters in our communities who work tirelessly to protect life and property. On May 4th, let’s pause and celebrate International Firefighters’ Day. Let’s also honor the firefighters by practicing fire safety throughout the year.